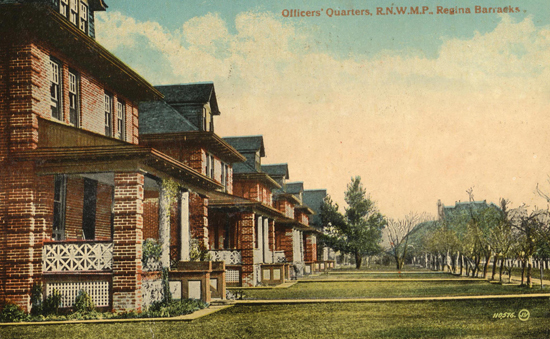 For this week, Ric Hall has selected the photography theme of “RNWMP Depot Division images on postcards.” The colour was after the photograph was taken and was usually hand painted. 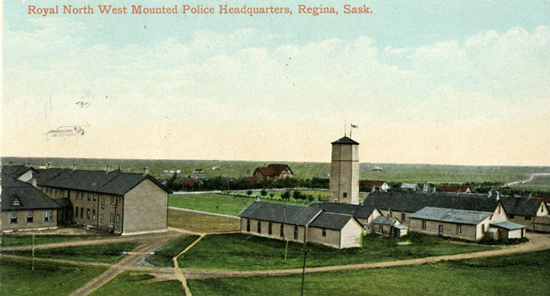 As the photographs illustrate below, many Depot buildings have come and gone. However, the “A” Block building and the Chapel remain the two primary historical buildings. 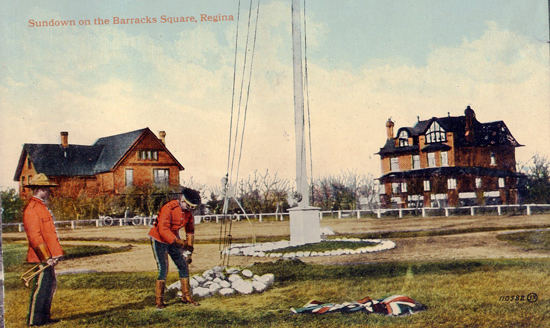 The original “A” Block was built in 1887. Current building was constructed between 1929 and 1943. 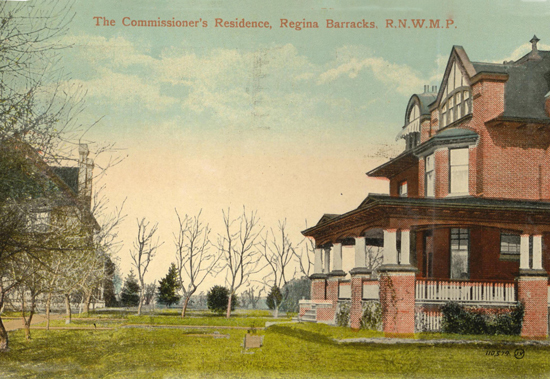 Photograph of the RNWMP Officer’s row of house at the RNWMP Headquarters in Regina (Source of photo – Ric Hall’s photo collection). 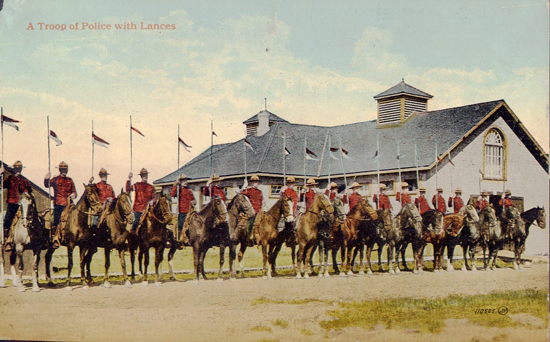 Photograph of RNWMP members at Depot with the horse stables in the background (Source of photo – Ric Hall’s Photo Collection). 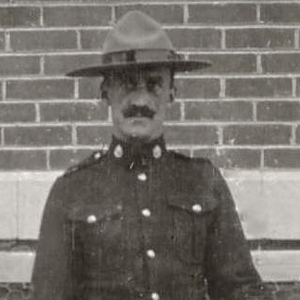 If you have old Force photographs that you would like to have posted on Ric’s Photo Corner, please email Ric at rshall69@shaw.ca. He will scan the photographs and return the original to you.